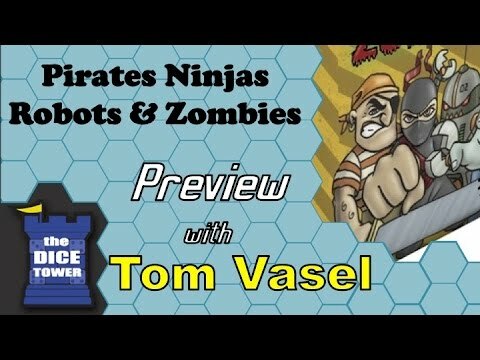 Pirates, Ninjas, Robots, & Zombies társasjáték - Magyarország társasjáték keresője! A társasjáték érték! 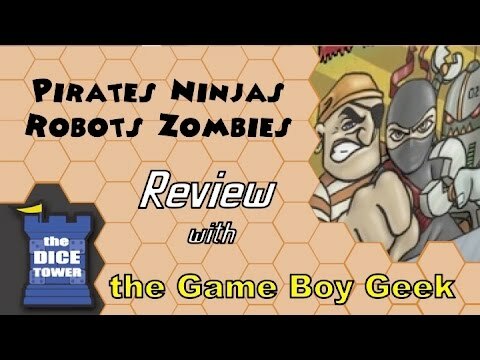 A Pirates, Ninjas, Robots, & Zombies egy kiváló társasjáték, 2 - 4 játékos részére, az átlagos játékidő rövid, csak 25 perc. A társast, 8 éves kortól ajánljuk kipróbálni. A játékmenet erősen épít a darab elhelyezés mechanizmusra. 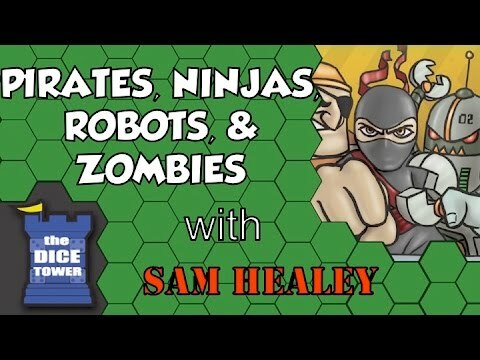 The question that has bewildered evil masterminds and superheroes alike can at last be answered: Who would triumph in a face-off between pirates, ninjas, robots, or zombies? In the tactical tile-laying game Pirates, Ninjas, Robots, & Zombies, players attempt to settle the debate once and for all by assembling the highest scoring section of your chosen faction. Each player starts with a base token in hand for their faction along with three other tiles from the 58 included in the game. On a turn, a player either places one tile from hand into the playing area (with each tile featuring four illustrated quadrants and possibly a special action symbol) or moves his already placed base tile to a new location. The action symbols allow you to rotate or swap tiles already in play. Once the final tile is drawn, players take one final turn, then tally the score of their most valuable section of orthogonally connected tiles. The base token is worth five points, regular characters worth one point, and bonus items worth three points. Each faction has arch-enemies scattered amongst the tiles — e.g., kraken for pirates — and each arch-enemy touching your faction costs you a point. Whoever has the most valuable faction wins!